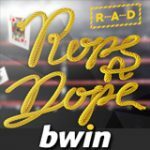 Win an El Clasico VIP Experience on Bwin Poker the entire package consists of VIP tickets to the game, accommodation, stadium tour and cash for travel and spending. Watch the best of Spanish football live with Real Madrid verse Barcelona at Santiago Bernabéu Stadium on 23rd March, 2014. Bwin as the official sponsor of Real Madrid football team are running a special promotion where players can win an El Clásico VIP Experience for Free! 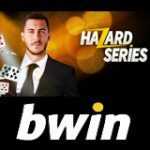 There are daily free poker tournaments running until 9th March, football fans can qualify and win a once in a lifetime experience through bwin. Win VIP tickets to the witness football's biggest rivals in action, Real Madrid verse Barcelona for the next El Clasico 2014 football match. 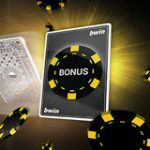 The bwin promotion is best suited for European football fans who know how to play poker online, players can qualify for free in the daily freerolls, SNG qualifiers and El Clasico Final tournament. 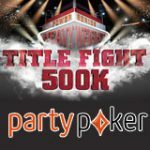 To win the El Clasico VIP Experience poker players must prove they've got what it takes on the poker felt, start qualifying for free or buy-in at any level excepting the final. 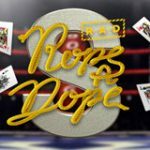 Play your way to the El Clasico Semi final for only $1 in a tournament or SNG format or qualify for free in the daily El Clasico freeroll. 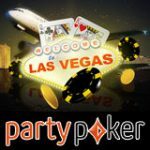 Qualifying tournaments run from 17 February until 9 March, on bwin poker start playing for your chance to win. Players can only qualify for the final event by buy-in to the lower level qualifiers, see the qualifying route below. Prizes: Top 3 players get a ticket to the El Clasico – semi-final. 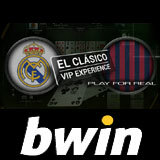 Prize: 1x El Clasico VIP experience package plus a $1,000 guaranteed prize pool for the remaining players. 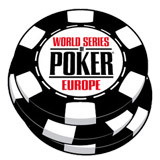 Register for the tournament qualifiers on the tournament tab of the bwin poker lobby.